Compelling promo copy. Effective author branding. Authentic social media. Knowledgeable personal support. At RAR! we know writing and publishing from all sides, and we’re here to help, whether you need a personal assistant or an experienced professional. We love books, we love authors, and we believe in the power of storytelling to transform the world. Not just as sales tool or as a means to an end, but in its own right, because it’s what makes us most human. This means we approach everything we do with respect and sincerity. Sure, we’re here to get you exposure, reviews, engagement, good word of mouth, and a positive online presence—you know, all the stuff you need to sell books in the digital age —but we think there are better ways than tweeting “buy my book” ten times a day. We think the way to build a loyal and supportive audience is by focusing on what you can do for them, not what they can do for you. Highly personalized, flexible, relaxed, and attentive service, focused on long-term author relationships. It may sound hokey, but we actually believe in things like ethics and honesty, and we think the Internet is the perfect place to practice them. Hard-selling is for car dealerships, not creative endeavors. We’ll never treat your book like a product, and we’ll never treat people like tools. We believe in offering understanding instead of judgment, keeping our ears and minds open, helping instead of condemning, and that the Golden Rule is golden for a reason. unpleasantness. We’d rather just talk to people. We think life's too short to take ourselves terribly seriously. Our motto is "You can catch more flies with funny pet videos than with vinegar." Or something like that. Jane has a BA in Creative Writing from the University of Arizona and an MS in Library Science from a tiny college in Pennsylvania. She has been a reader and writer all her life and has worked with books and authors in various capacities for almost as long — as a typist, proofreader, librarian, editor, project manager, consultant, and occasional therapist. She founded RAR in 2016 after eight years managing an editorial company, where she developed a thorough understanding of the needs of authors. She loves Zen, books, cats, streaming TV, computer games, philosophy, Dr. Pepper, and naps. She’s an outgoing introvert, which means she loves making connections with people but needs to balance it with large amounts of alone time, preferably with a book, a cat, and a large DP. Jeff has a degree from the University of Arizona in Creative Writing, and has been a voracious reader as well as a student of writing his entire life. His 20-plus-year career as a police officer and detective may have involved more report-writing than novel-writing, but it gave him a wealth of insight into criminals and law enforcement, which he loves to share with crime writers looking to get the details right. He’s also been a voracious reader all his life, and is an insightful, attentive beta reader for many other genres, particularly literary fiction, short stories, science fiction, nonfiction, and poetry. When not reading, Jeff enjoys traveling to beaches. Where he can sit next to an ocean. And read. Shannon has been passionate about media and publishing her whole life. She has a degree in Mass Communication from UNC Asheville, has been an editor at The Editorial Department LLC for more than a decade, and has been with RAR for two years. She’s a world-class editor, as adept at development (she storyboards!) as she is at the sentence level. She’s also terrific at blogger outreach, being thoroughly steeped in social media and all things book related. Shannon operates on Bajoran time, which has a 26-hour day, so good luck keeping up with her. Her very favorite genres are fantasy, science fiction, and mystery, but basically if it has words you can count her enthusiastically in. During her time in higher education, Amanda realized a love for the production side of creative projects. Able to see the big picture and small details simultaneously, she found that corralling creative types and making sure their visions left their heads and made it out into the world was her specialty. She’s terrific at promo bibles, blogger outreach, and everything that helps authors connect with their audiences. You can find her with her eyes glued to some sort of media at all times, whether it be streaming her favorite television series and movies, keeping up with her favorite social-media platforms, engrossed in the latest Nintendo title, or deep in the chapters of a book. Amanda is a fan of sarcasm, cats, cold beverages, and warm blankets. At the age of ten, John read his first novel—Tom Sawyer—in one sitting. He’s been in love with books ever since. He self-published the memoir Jem: Lessons in Living, and believes everyone should leave a story for future generations. He’s also a firm believer in beta reading and professional editing, having made use of both himself, and he’s slowly coming to grip with the role of social media in book marketing by indie authors. 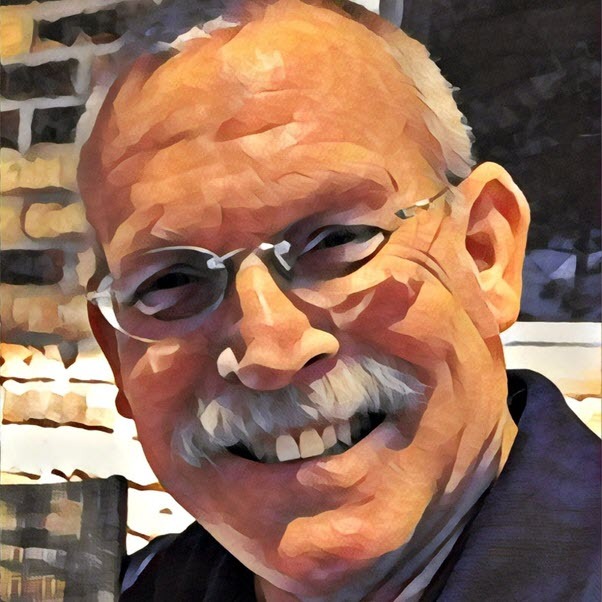 John is both an editor and a writer himself, which makes him a diligent and constructive beta reader; for editing he specializes in memoir and general fiction. A retired computer software consultant, he spends his free time reading, writing, and riding herd on four adopted pugs. You can visit his website at www.jdmiddleton.net.